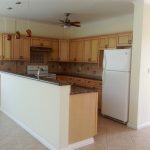 It offers the combination of a high quality construction along with excellent finishes, a secure, steadily developing community with some amenities, and a relatively low price point. 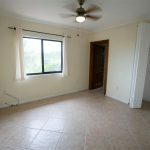 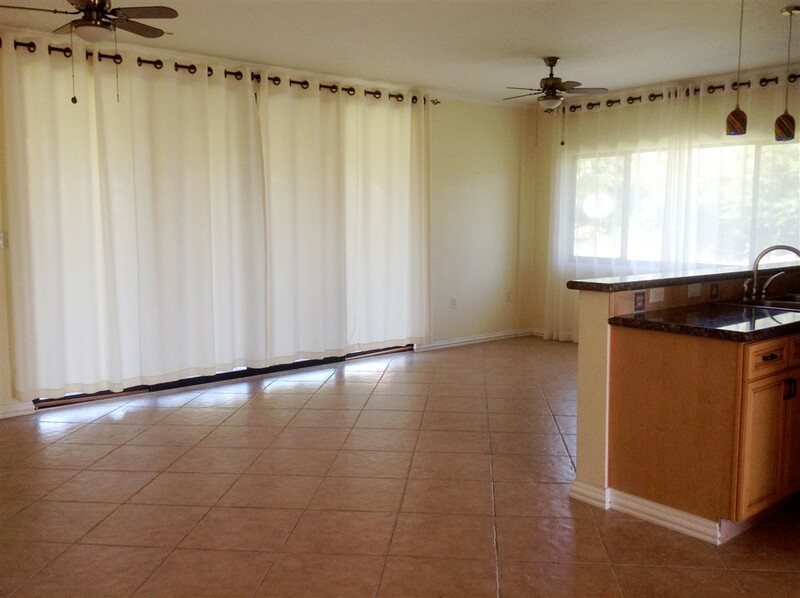 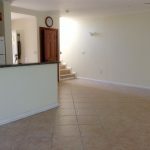 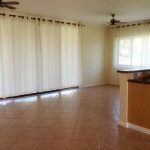 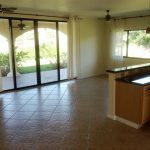 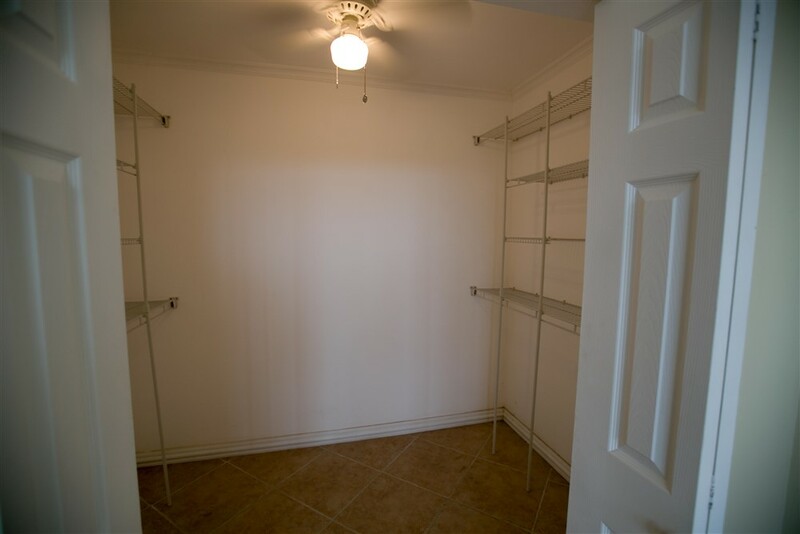 The duplex is ready to move in with drapes, light fixtures, ceiling fans and appliances including stove, hood fan, washer dryer and refrigerator. 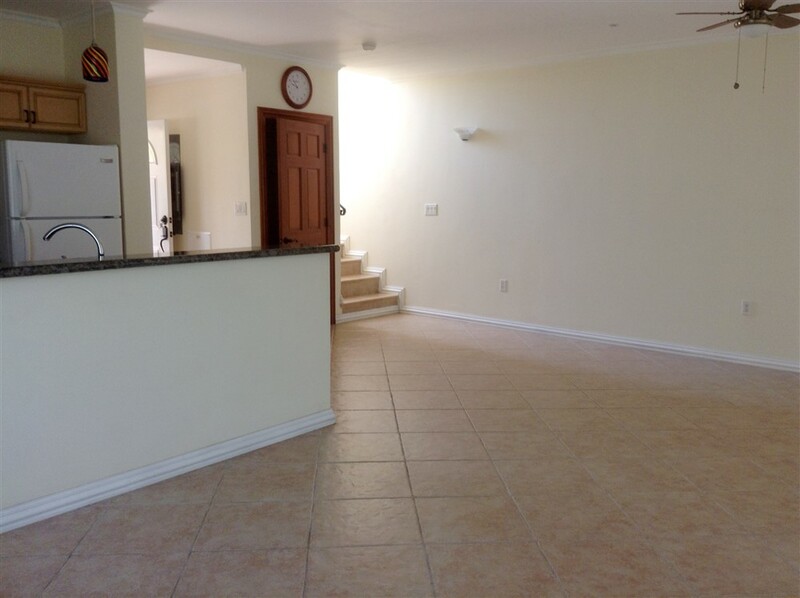 It has an open floor plan with a spacious feel along with lots of natural light. 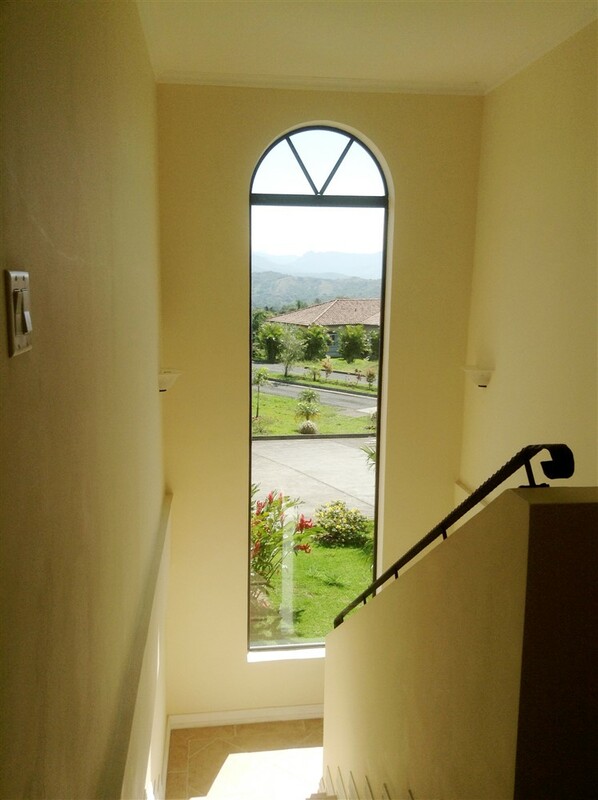 The raised position of the residence provides beautiful views of the surrounding mountains. 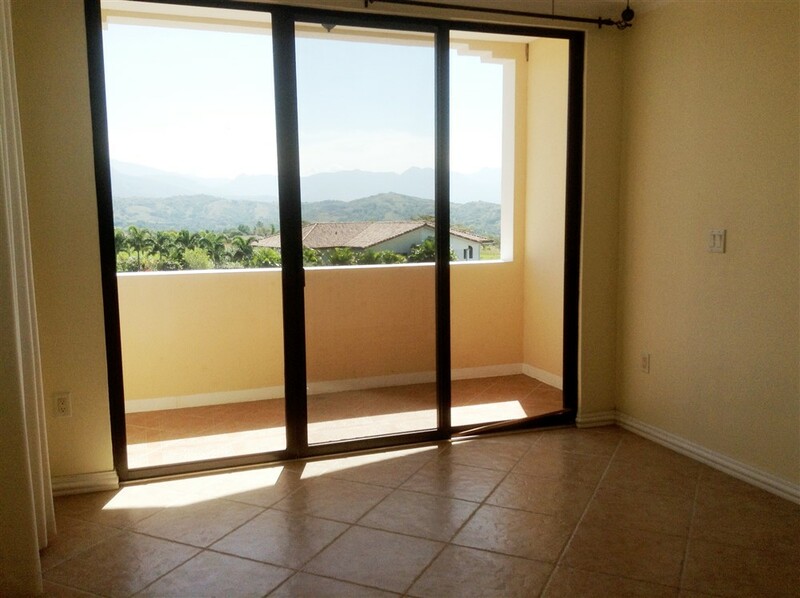 The buildings nearby are one story so the views are largely unobstructed. 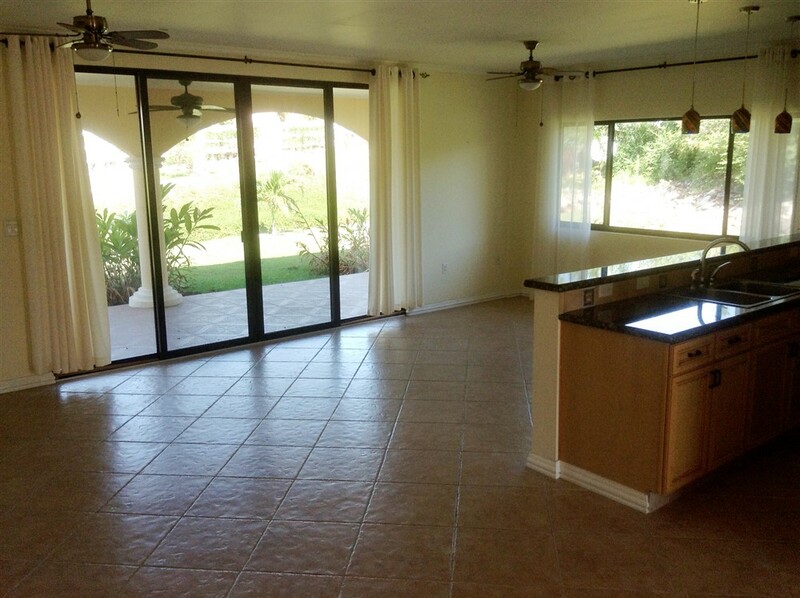 The living room/dining area opens to the covered terrace with an ample landscaped back garden. 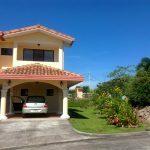 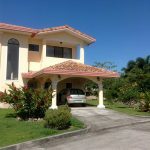 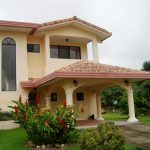 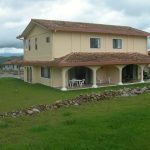 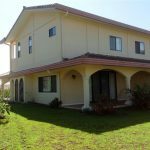 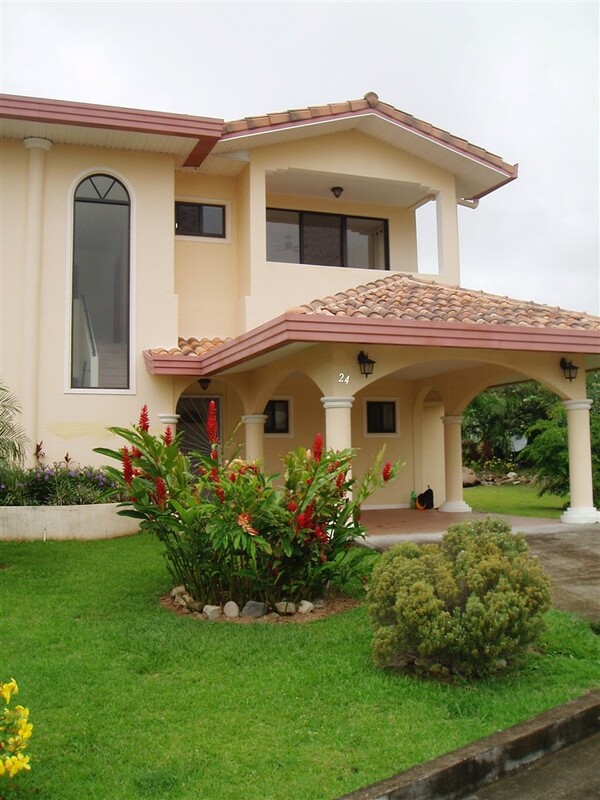 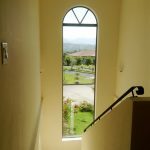 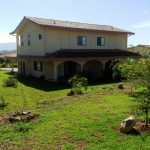 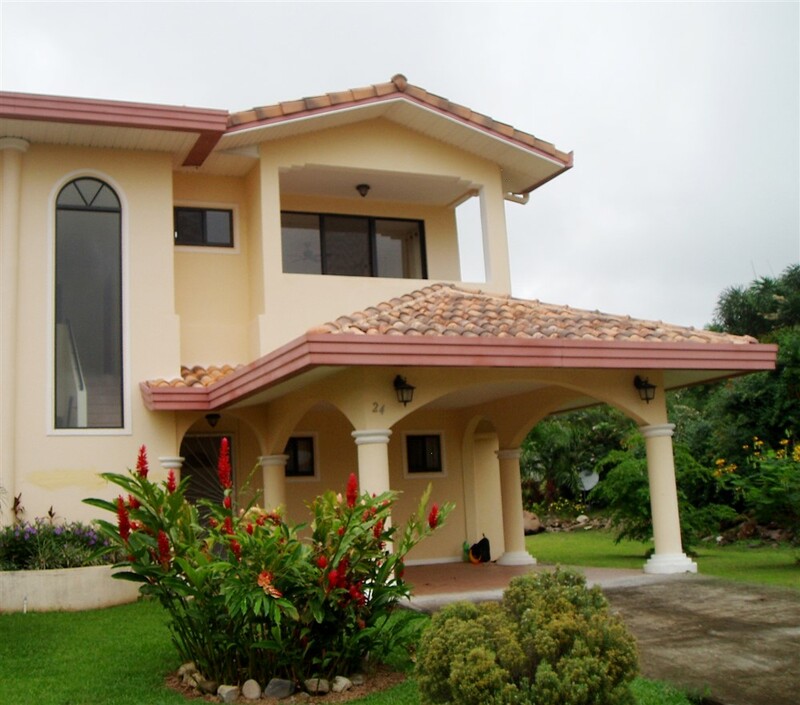 The land size of the titled property is larger than usual for a townhouse property for sale in Boquete. 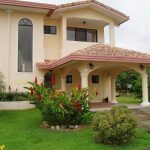 Enjoy your own garden. 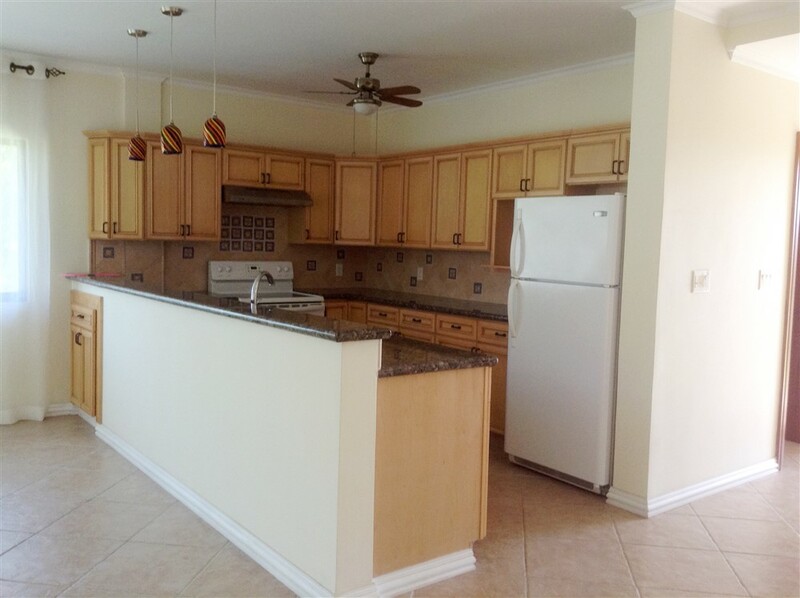 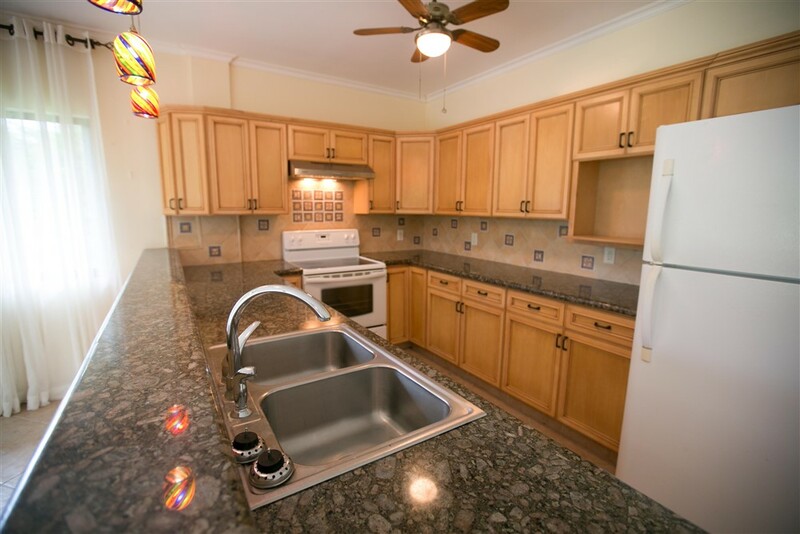 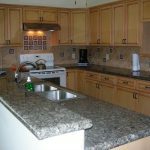 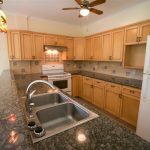 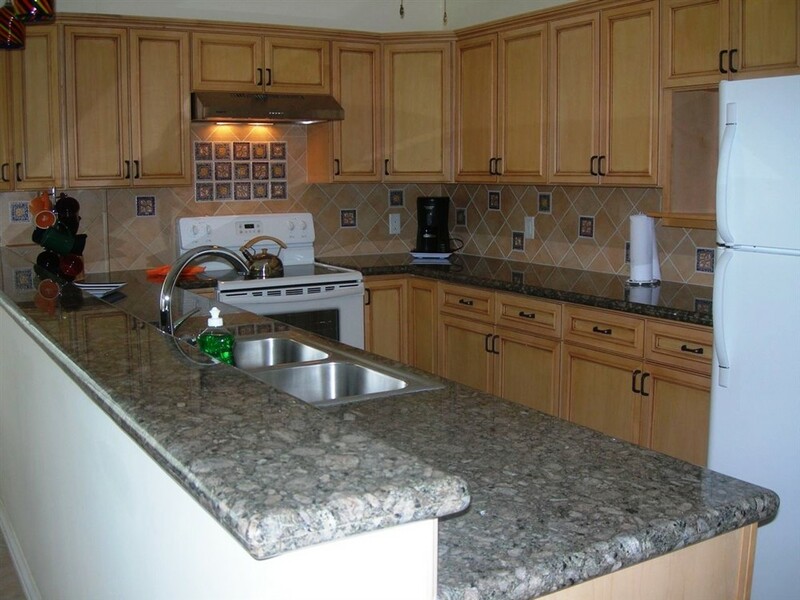 The kitchen has high quality cabinetry, granite countertops and lots of space. 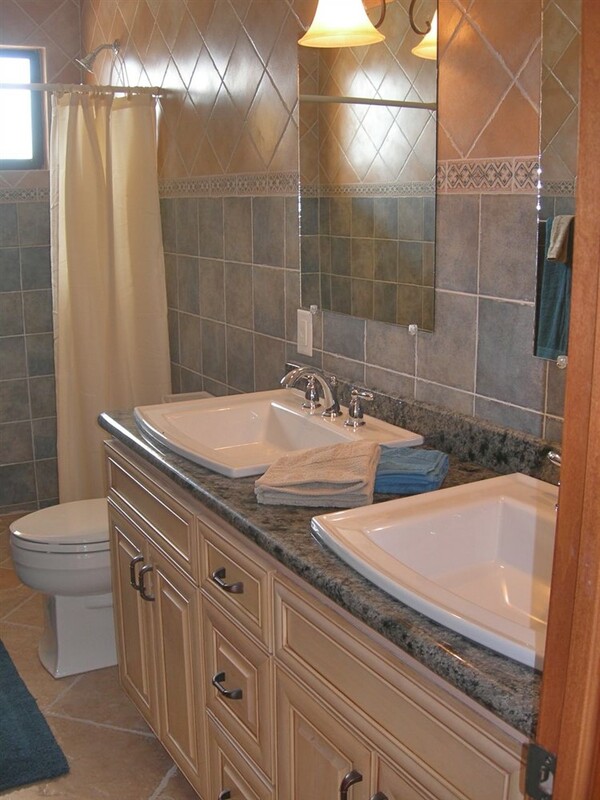 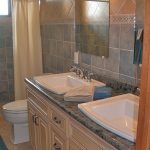 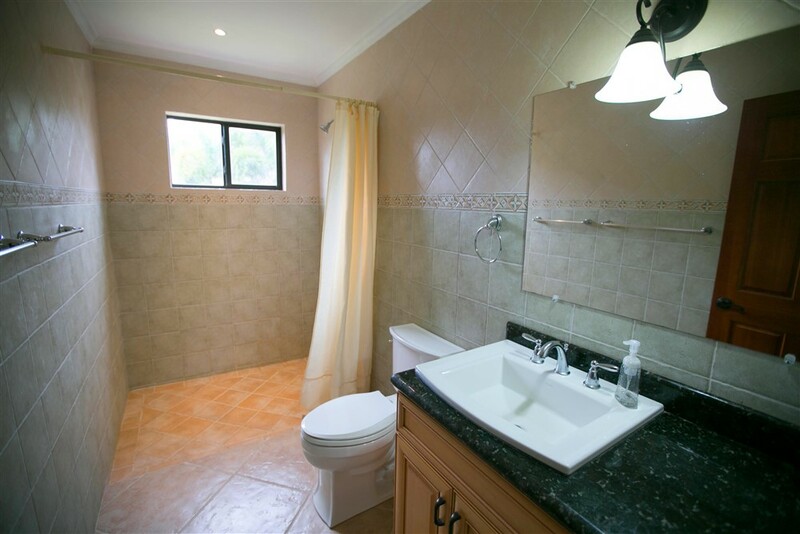 Upstairs, the master bedroom has a private covered balcony, en-suite bath and walk-in closet. 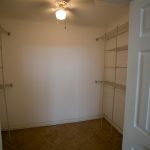 The second bedroom also has an en-suite bath plus closet. 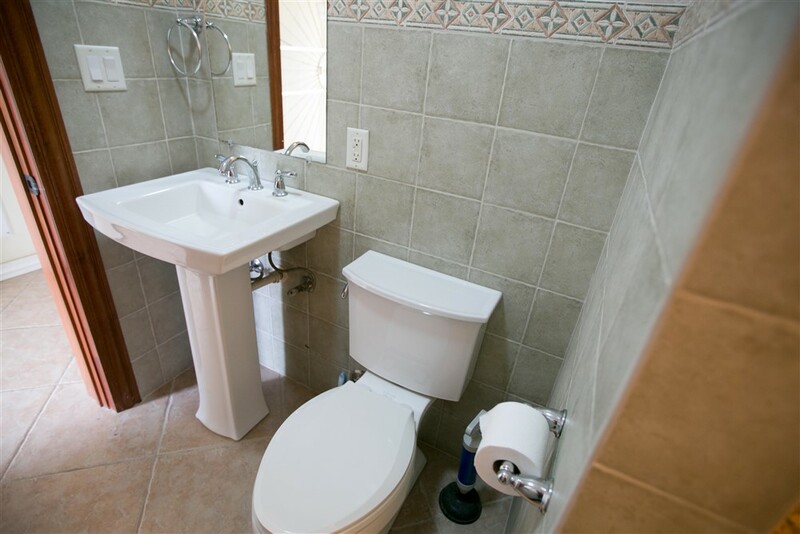 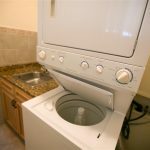 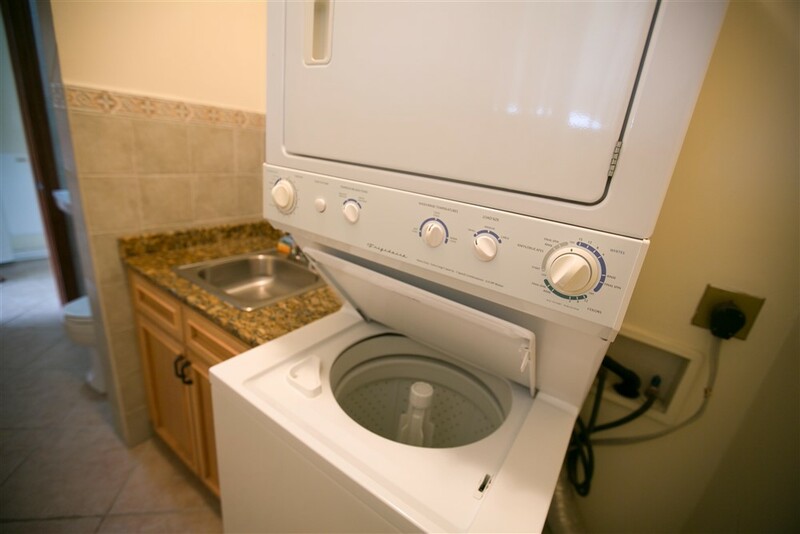 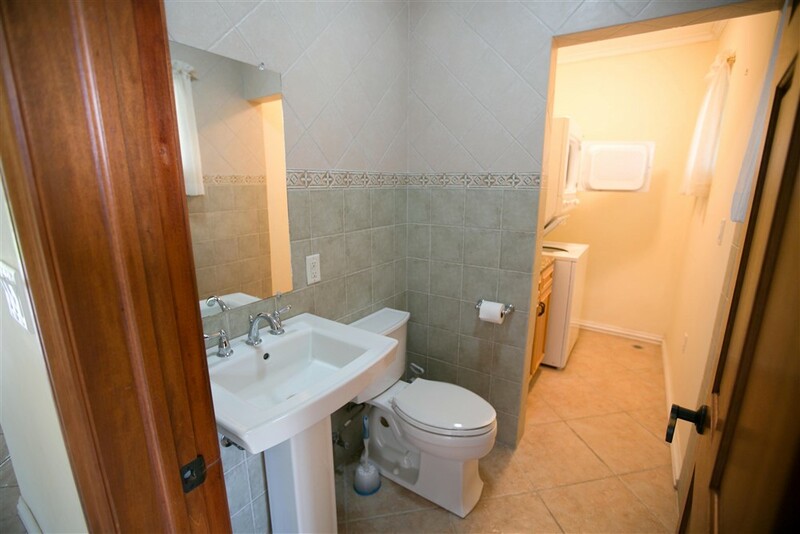 This townhouse has an unusual two water supplies with an independent storage tank and pump. 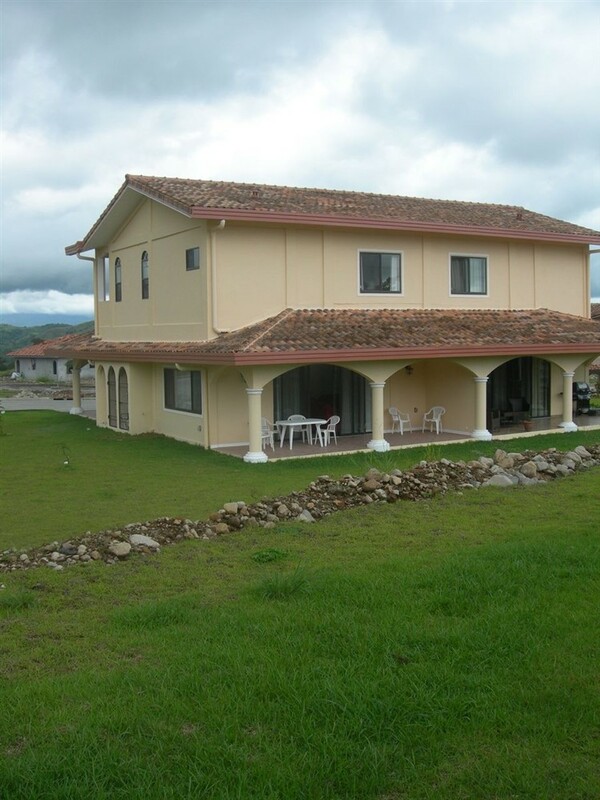 Its electricity is supplied directly from the utility company rather than through the development. 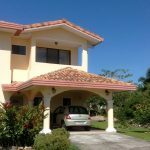 The transferable tax exemption is good to October 2029. 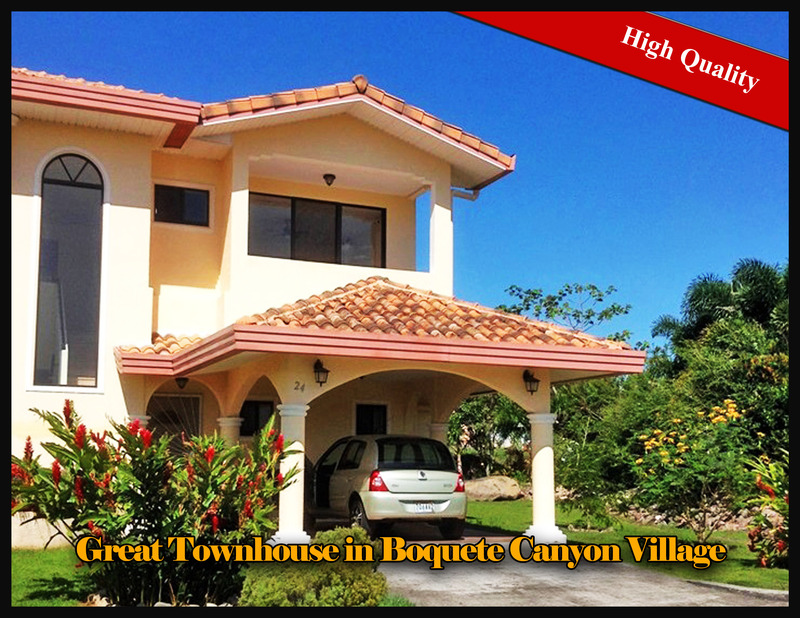 Boquete Canyon Village includes amenities such as a swimming pool, gym and recreational areas. 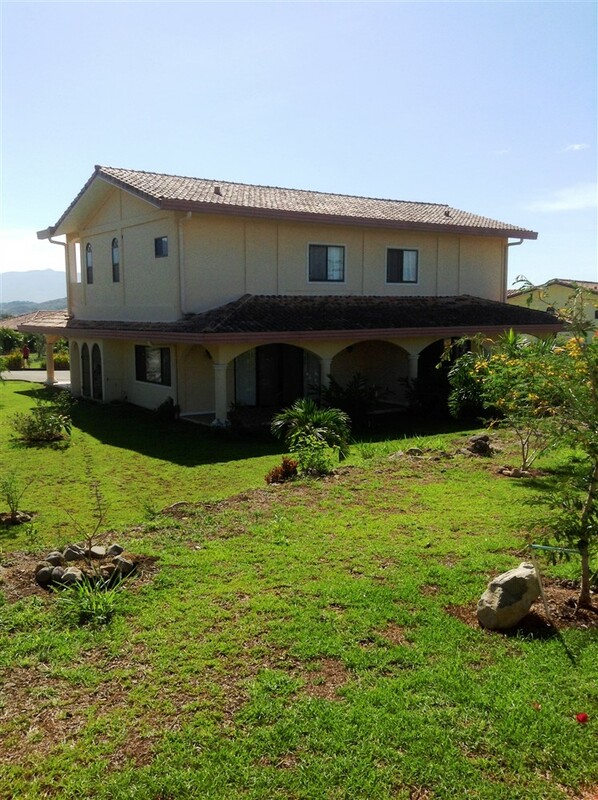 More about the Boquete Canyon Village Development here. 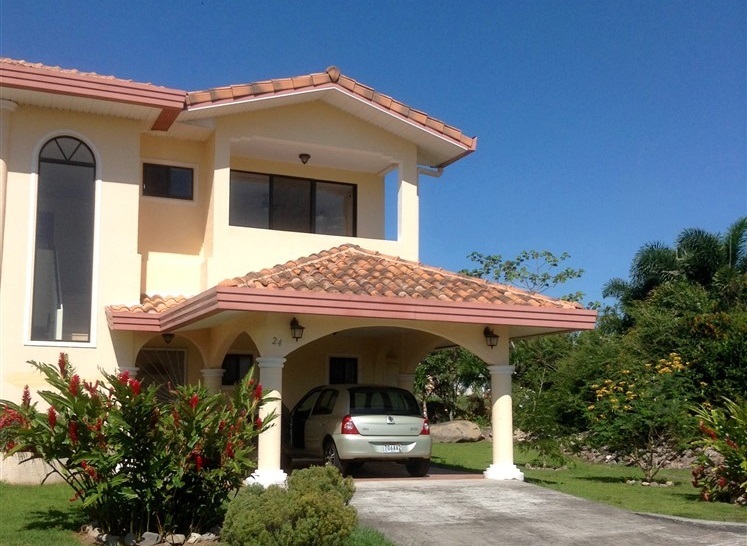 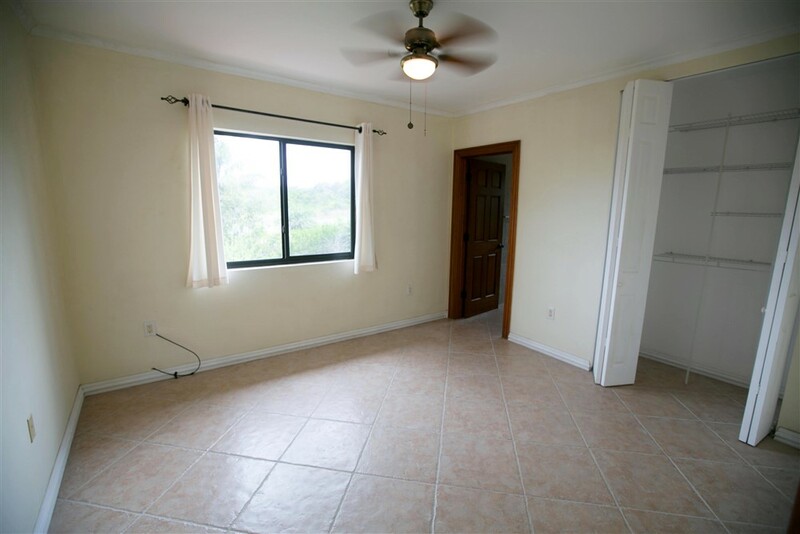 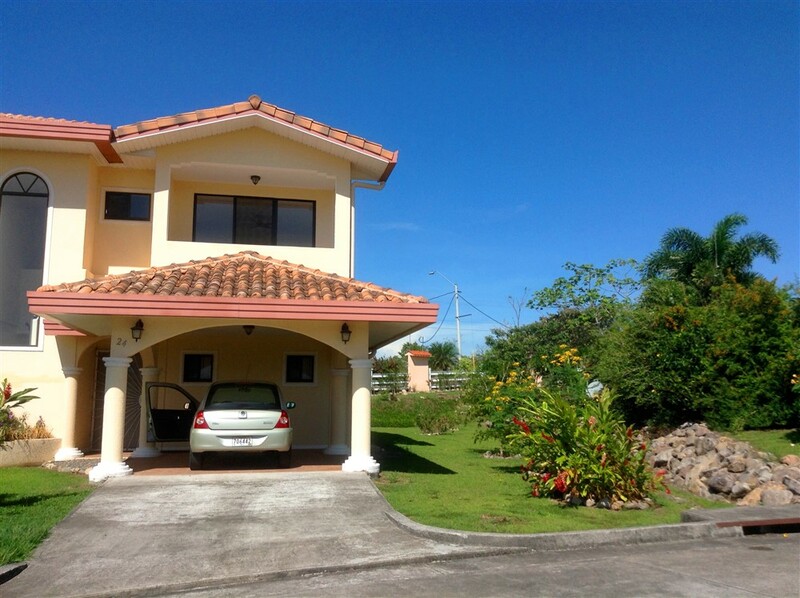 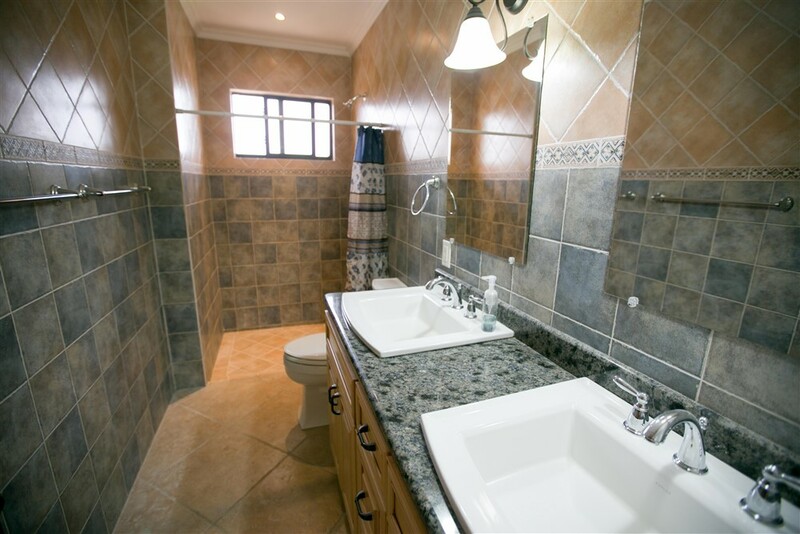 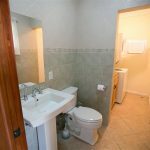 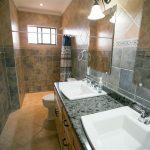 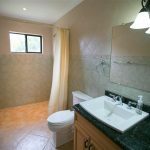 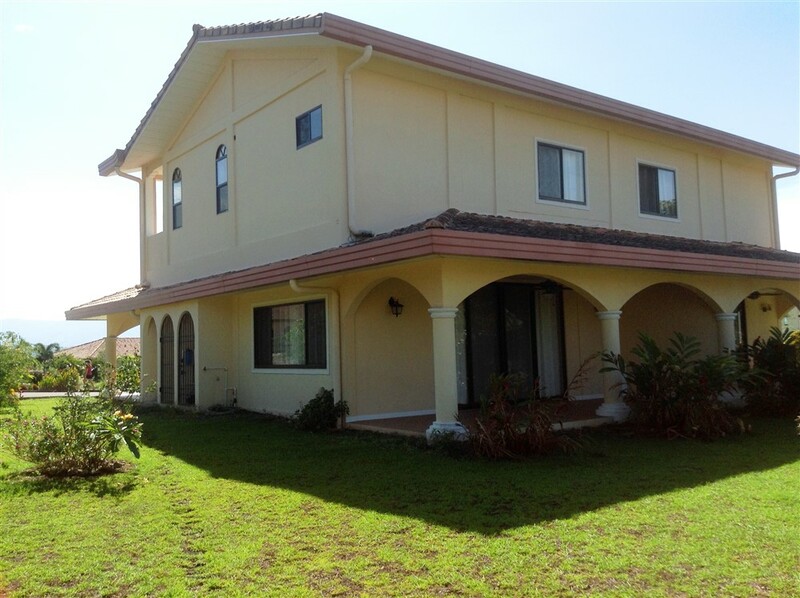 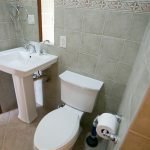 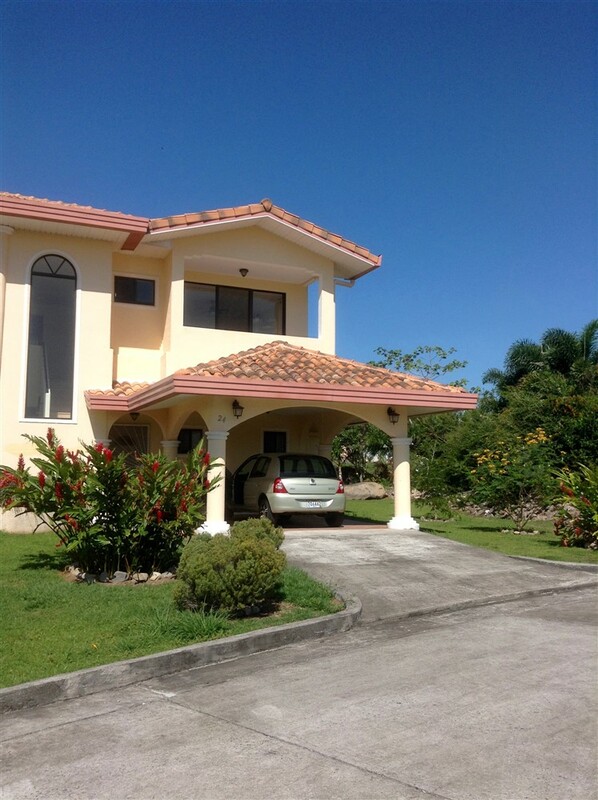 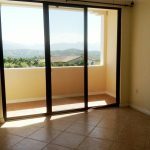 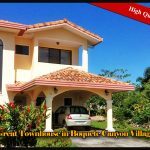 Please contact Casa Solution for more information or to visit this Great Townhouse for Sale in Boquete Canyon Village.